Foundation, Faith, and Future captures the people of Highland Park United Methodist Church in a beautiful photographic narrative of what God has led them to become as a church over one-hundred years. 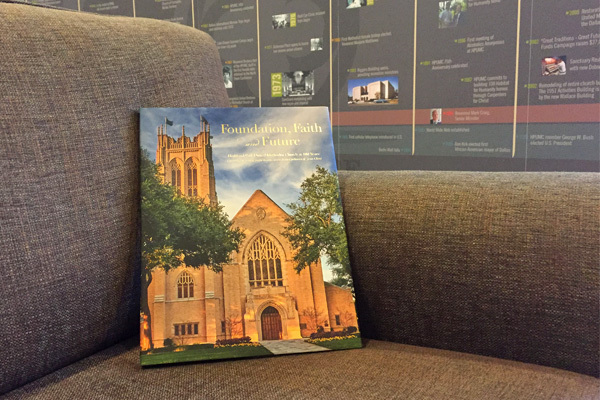 Beginning with a brief illustrated history and closing with a glimpse into the future, this family album focuses on their worship, their communities of faith and service, and offers a snapshot into HPUMC in it's 100th year. The large-format, 10X13, hard-bound volume, printed in fine art quality, will be treasured by today’s congregation and for generations of their families to come.